1. 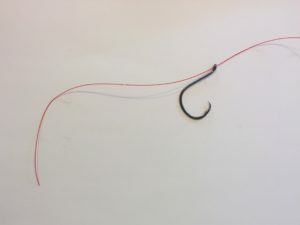 Pass several inches of line through the eye of the hook. 2. 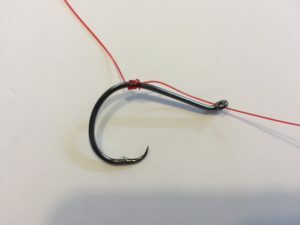 Loop the line along the shank of the hook. 3. Wrap the tag end through the loop and around the shank about 5 times. 4. 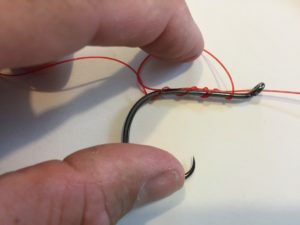 Moisten the line and draw it partially tight. 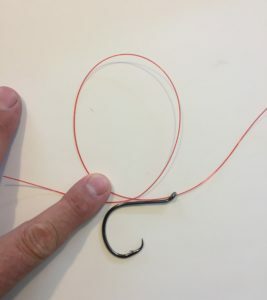 I find it is easier to control if you start this process near the bend of the hook rather than near the eye. 5. 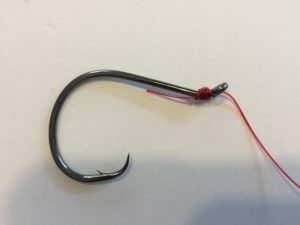 Moisten the hook shank, slide the knot up to the eye, and draw the knot fully tight. Trim the tag to a reasonable length.